We tend to want what we can't have, right? In the world of interior finishes, I want white marble on every single surface. 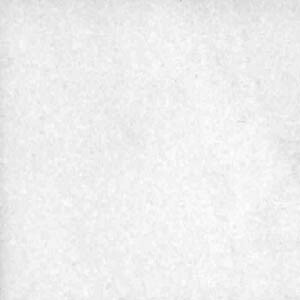 However, white marble can be an expensive stone and it can stain easily. That probably won't stop me from proposing it for your bathroom floor - IF we use the right type and you understand how it will patina. One of my go-to sources for stone is Stone Source, which conveniently has a great warehouse in Chicago. They were kind enough to explain the main differences between the whites, and how to care for them. Let's start with geography. The most well known and popular whites come from the Carrara region of Italy. It's about an hour south of Cinque Terra (road trip anyone?). 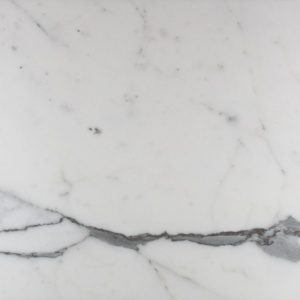 Calacatta is the popular quarry here and can range from $40-$120 per square foot. Although it has several different looks depending on where it is quarried, you'll know it for the the dramatic gray and sometimes taupe veining. It's GORGEOUS and you'll pay for it. If all that amazing veining isn't your thing, Greece and Turkey have some popular whites that are less dramatic and less expensive. 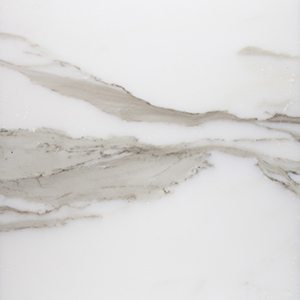 Bianco Dolomiti is a little more modern in it's clean white aesthetic and has light wispy gray veins. It's going to be around $28 per square foot. Another popular one is Thassos with it's simple crystal structure which gives a sparkle appearance. This gives you a nice white marble look at a fraction of the cost- $10-$15 per square foot. Saving the best for last, and my current favorite white, Danby is quarried out of our own back yard in Vermont. This stone is amazing for so many reasons. If you want those white marble kitchen counters but worry about the etching and staining, Danby is going to hold up the best amongst the bunch. That doesn't mean you (or that lovely house guest) can pour red wine all over it, but is going to be more forgiving that it's Italian cousin. It's also a great option for those who are supporting sustainable causes (less transportation needed) and domestic businesses. Best of all, it's price ranges from $28-$55 per square foot. You'll see a great example of Imperial Danby in the Logan Square Residence I designed. Care and maintenance are very important with white marble. First, I like to use a honed finish instead of polished. Any etching that happens will be less noticeable on a finish that already has an etched look. Foods like tomatoes and lemons are all culprits of etching your marble. Get in the habit of wiping up spills immediately and general daily cleanings. This also goes for staining, which can happen with oil or wine spills. Always make sure your stone is sealed after installing it. Depending on the use, plan on having it resealed once a year or every two years. Lastly, embrace the lack of complete perfection with stones. It's a natural product that we've dug out of the earth! It's going to have it's quirks and variations. If you're installing a floor full of tiles of any natural stone, ask to see a range first and never base it off of just one small sample. If you're installing a large slab like a counter top, take the time to go to the warehouse or ask for slab photos if you don't live nearby. I almost always take a roll of tape along to outline exactly where I want to stone to be cut. This helps avoid any markings that you hadn't expected. When selecting multiple slabs that will be next to each other, it avoids any crazy images that appear when matched up- mostly ones that look like aliens.